CHOGM - Commonwealth Flags Perth WA. Rock Festival Phillip Island - Bali Flags Australia. 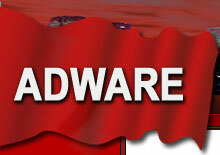 Adware's highest quality Satin Bali Flags are not just for Balinese style Weddings. In fact they are widely used to brighten or add colour to many outdoor occasions, site events, festivals, street parades, corporate parties, business promotions and schools. With over 60 stunning Bali flag colours available, there simply the finest Australian made high sheen Satin Bali Flags, that you can buy in Australia today. the requirements of all clients. Prompt delivery of higher class precision screen printed flags & mobile portable flagpole bases along with screw apart two piece removable flagpoles, especially designed for simple, fast and easy venue set up. Global Tourism Conference Flag Hire & Flagpoles Perth WA. Flags & Flagpoles are our passion & our business. We have a team of dedicated real people behind our name, no inane online shopping carts here! We take pride in giving service and complete customer satisfaction, whether flag hire, flagpole hire, flag sales or on site flag hire set up. For us, attention to detail is essential. With all products being manufactured to the highest of standards along with our strict quality control and professional packing, we are able to guarantee delivery of the finest products. In simple terms "Near enough is not good enough for us". "Thankyou Adware, I really appreciated your communication and professionalism. In the end we placed the flagpoles opposite our registration desk area because the entire surroundings were a clinical white. The flags really brightened everything up and the delegates enjoyed taking their photo next to their country flag. Your good service was amicable and really added to our conference theme. We received great feedback from all delegates on the overall "look" of the Meeting! and the nice flags certainly contributed to this. Thanks again for providing such a wonderful service and meeting all of our needs. I will be sure to recommend your beautiful flags and flagpoles to anyone who asks!" Executive Director - Arinex Pty Ltd, Australia. and are quite suitable to be carried by children or adults. Adware Hire Flagpoles, available with flags, or matched with sturdy flagpole stands and flagpole bases. Ideal for all indoor functions, conferences, and all outdoor sporting field events. Western Sahara Flag Leichhardt Town Hall Flags NSW. to commemorate National Saharawi Day. Flag raising ceremonies were held all across the country at all Town Halls and private functions including Melbourne, Sydney, Canberra, Queensland, Darwin, Perth, Adelaide and Hobart, Tasmania. All flags are of the highest quality screen printed woven fabric, or hand sewn and appliqued using 600 Denier Defence Bunting, along with superior strength M40 UVR thread. All flags are quality assured and properly packaged prior to dispatch. Adware Wall Mount Flagpoles come with a durable anodised finish that will not wear, due to the constant abrasion from a flagpoles rope & flag clips, unlike a powder coated finish that is quickly worn away. Anodised finishes are directly etched into the aluminiums surface. Heavy duty galvanised steel wall flagpole brackets are manufactured to Australian Standards, providing superior durable structural fixings that will not rust, withstand any winds thus lasting a lifetime. City Of Sydney Flags - Sydney Town Hall Flags NSW. The City of Sydney Flags after our final quality check. We are honoured to have supplied many flags and flagpoles to one of the most historic Town Hall buildings in Australia. In fact, our flags are proudly displayed throughout the main building and within the Mayor's office. Our flags are produced with skill, care, dedication and sewn using UVR superior Bonded Nylon thread, thus providing longer flag life. Harmony Day Flags supplied to Queensland Academy for Science, Mathematics and Technology Toowong, Queensland. Each year many schools, universities and colleges celebrate Harmony Day, with celebrations representing the many student cultural backgrounds. Adware supplied all national flags which included; Australia, Malaysia, Philippines, Sri Lanka, New Zealand, Iran, Russia, Greece Singapore, Thailand, South Africa, United Kingdom, China, Pakistan and many other flags. "On behalf of QASMT, I would like to personally thank you so much for your quick reply and excellent service, helping us make this a very memorable day for all of our international students." Kind Regards Jen Ramamurthy, QASMT P&C President. Hire Flagpole Ballarat Flag raising Ceremony. heavy concrete flagpole bases enable a fast and easy set up, without disturbing valuable turf field or ground surfaces. All hire Flagpoles are available delivered to site ideal for flag flying, flag raising, flag unfurling and all flag ceremonial events. Our range of versatile, indoor or outdoor telescopic portable flagpoles and steel flagpole base stands, are quite suitable for all occasions, indoor or outdoor school assemblies, on stage school hall set up, or dry undercover areas or auditoriums. Steel flagpole stands can be screwed to timber floors or simply weighted down. Ordering is easy with all Colleges, Schools & Universities offered account terms. Digital printed flags custom made to order for the Ballarat Classic Cycle Race. In total 24 large flags were supplied, fitted and flown at all strategic locations. The flags hoisted above the Town Hall are, The Australian National Flag, The Aboriginal Flag representing the areas Indigenous culture and The Eureka Flag, representing the origin and the history, of the famous Eureka Rebellion C.1854. Within this picture stands a statue in memorial of Queen Victoria (1837-1901), Queen of the British Empire and The Colony of Australia. Queen Victoria's reign lasted over sixty three years, longer than any other female monarch in history. of duty. Flags included the Australian National Flag, the Northern Territory Flag, Northern Territory Police Flag and the Northern Territory Police Association Flag. National Police Remembrance Day is held each year on the 29th of September. a flagpole that would require no alteration to any part of the sandstone building. Our unique flagpole design also included anti furl flagpole fittings, which allowing the flag to constantly rotate a full 360 degrees with the wind, preventing the flag being fouled, tangled or wrapped around the flagpole itself. These flagpoles are also used by The City Of Sydney for NSW State flags and other flag flying events. Sydney Convention Center Flags & Flagpoles Sydney NSW. Makers of Australian National Flags, country flags, table flags, custom made logo flags, Indoor flagpoles, ceiling hang Flags, hire flags and outdoor hire flagpoles to conferences at The Sydney Convention Centre Darling Harbour. All hire flagpoles are professionally packed and delivered on time ready for fast and easy set up. Australian, Japanese and custom screen printed logo flags installed by Jason the manager. Precision fitted with White Banner Poles, matching finials and batons hidden within the flags bottom seam. These beautifully finished indoor flags are a standard size of 1800mm x 900mm, in total 24 high quality flags were installed. We stock all flags suitable for any functions, venues, Schools or business needs. The WKC 9th World Karate Championship Tournament held in Melbourne at the State Hockey Center, with competitors from over 30 countries in attendance. Picture above showing Adware hire flags with WKC karate competitors in action. Both competitors are wearing their respective Black belts, with an additional belt representing their own corner colours allowing for the judges scoring flags of red or white which are raised upon either opponent gaining a certain scoring strike. As a matter of interest, both my son & daughter are accomplished Karate Brown belts, along with Kung Fu skills passed on in training by myself. Both have fought in many tournaments, winning many 1st place trophies and various gold medals. There is a saying "Belts are good for holding up your pants" In reality it is not the colour of your belt worn, but how well you are skilled in the field of martial arts. Adware are proud to be the Australian manufacturer and suppliers of wall mount flagpoles, in ground flagpoles and screen printed flags to all Australian McDonald franchises. The above flagpole installation shows the McDonalds corporate flag flying with our quality anodised flagpoles and galvanised steel flagpole brackets. We also supply all flagpole parts and hardware including flagpole rope, flag clips, flag weights, flagpole lights & flagpole fittings. Our experienced on site flagpole repair service, along with our high quality flagpole repair parts, ensures the most professional flagpole servicing and flag maintenance, which is guaranteed to last. Commonwealth Law Ministers Meeting Flags Sydney 2011. Former Attorney-General for Australia The Hon Robert McClelland with Attorney-General from Trinidad and Tobago to the Commonwealth Law Ministers Meeting. Attended by The International Criminal Court President, and The Commonwealth Secretary, Law ministers, Attorneys-General and senior officials all from the 54 members of the Commonwealth of Nations. As a tradition these commonwealth flags are displayed at each annual meeting around the world. This conference was an historical and significant event, being held for the first time ever in Australia. Adware are proud to have supplied indoor timber flagpoles to this major event. Our range of beautiful wedding hire flags are highly regarded by many clients as first choice and simply the best available for all wedding ceremonies or venues. Set up is made easy at any location via a choice of Bali Flag stands, Bali Flagpole sand spikes, Bali Flagpole ground spikes, Bali Flagpole pier or deck mount stands, & Bali Flagpole handrail or fence installations. All Bali flags and poles are checked, pre ironed and professionally packaged in cardboard tubes and delivered on time. "Dear Jason, I would like to thank you for the fantastic work your team have done on our club flag. The printing was with an exceptional colour & clarity which really highlighted our club symbol. As you are aware, it is our intention to have the flag in the weather for most of the year and the high quality of material and stitching was excellent. I will have no problem recommending your company to any other organisation in the near future." John Barnett - WJFC Facilities Co-ordinator. new stainless steel flagpole fittings and the highest quality braided flagpole rope was supplied to secure the large Australian National Flag of 5490mm x 2745mm. High access flagpole repairs requires flagpole rigging experience, complete safety procedures and a head for heights. Adware's own flagpole maintenance and repair service is available to all greater Melbourne, Geelong, Ballarat and Bendigo. Adware's Multi coloured pennant flags fly high at the restored heritage listed Newport Substation Building. Our combined Red, Orange, Yellow, Light Blue, Green, Royal Blue, and Purple high sheen satin flags, along with Black flagpole sleeves, add beauty & vibrance to any location, simple set up, easy to install. with the best participants judged and awarded prizes. Pictured above, Redbank Plains High School Marching Band, with Adware timber parade flagpoles, brass finials, leather flagpole holsters, white leather parade gloves & custom printed school flags. This year Redbank Plains High School placed 2nd, congratulations!. As we specialise in all world timber species for flagpoles, did you know that the Brazilian Rosewood tree is related to the Jacaranda tree. It also has rich purple flowers, and when cut gives the scent of roses, hence the name "Rosewood". ANZAC Day March - Highfields RSL Flags QLD. Australian National Flag professionally carried by Australian Army Cadet Sergeant and escorted by two, 13Th Army Cadets Toowoomba Unit. RSL Flag (Returned Services League of Australia) Flag proudly carried by local Scout Group member. Ceremonial wooden marching flagpoles with brass screw apart joiners and gold plated acorn finials, ANF and RSL flags, flagpole holsters & white gloves supplied. Shortly before ANZAC Day 2011, we received an enquiry from one of the many RSL Sub Branches we serve. Their request was for pricing for the replacement of flags that had just been stolen from the RSL outdoor flagpoles. Our first thoughts were to immediately offer our help and support by suppling the flags required for the commemoration of ANZAC Day, the most significant national day in Australia. "On behalf of members of the Maroochydore RSL Sub Branch, l wish to thank you for your kind donation of the three flags to replace those stolen prior to ANZAC Day. Please accept the enclosed certificate as a token of our appreciation to a company that indeed believes in keeping our Nations Flags Flying." RSL President. Mr James Taylor, Secretary of the Merchant Navy War Service League Australia, commences the opening speech of the new Merchant Navy Anchor Memorial in the Melbourne Docklands Precinct. Also present were Allied WW II flag bearers standing to attention representing their own country flags of the USA, Canada, the British Red Ensign and the Netherlands. The story of the actual anchor as used for the memorial is quite interesting, as it belonged to a German ship"The cormorant" who upon hearing the announcement of war, then hastily severed the anchor line, leaving it at the bottom of the Yarra River. It was then, many years later, found accidently while dredging and considered the appropriate memorial. 6mtr Flagpole, Sewn Australian Red Ensign, Allied Flags and Marching Flagpoles. Major General David McLachlan, AO. R.S.L. President ANZAC House Melb, Victoria, stands with respect in silence, as a Royal Australian Navy bugler sounds the Last Post, in remembrance of allied Merchant Navy Seamen who have perished in war, during which the Australian Red Ensign is lowered to half mast. Upon the buglers call of Reveille, the Australian Red Ensign is re hoisted and all allied flags raised. "Dear Adware, Thank you so much for your kind and generous supply of the flags and flagpoles, the members of the Merchant Navy War Service League Australia were truly delighted." T Campbell- Senior Project Officer- Major Projects Victoria. "Right from the initial phone call of enquiry everything was made very easy. This family business knows what service is all about, and they continually went out of their way to meet our deadlines. Their friendly and courteous manner made each contact a pleasant experience. Added to this, we found the quality of their work to be excellent. Our flag dedication service at the Shrine of Remembrance went off without a hitch and our Association members were able to stand proud with their new walnut flagpole and flag." - Dr Landau, Vice President VAJEX Aust Inc.
Makers & suppliers of custom printed table flags to the Royal Australian Navy (center) Chief of Navy Personal Flag, Vice Admiral Russell Crane AO, CSM, RAN. The most senior officer appointment in the Royal Australian Navy, responsible to the Chief of the Defence Force (CDF) and the Australian Secretary of Defence. (left) Rear Admirals Flag two star rank, which is above that of a Commodore and captain, and below that of a Vice Admiral. (right) Commodore's Broad Pennant finely cut swallow tail design, this pennant is also known as a flag officers rank. Adware are honoured to have supplied a Sewn ADF Ensign with gold fringe to Air Vice-Marshall Margaret Staib, the most senior woman in the Australian Defence Forces after being promoted in April, 2011. As Commander of Joint Logistics, she is responsible for the oversight and assurance of the Defence logistics capability across Army, Air Force and Navy. Prior to her return to Joint Logistics Command, Air Vice-Marshall Staib spent a year as Commandant of the Australian Defence Force Academy. She has also served in the Pentagon, with her service being recognised with a United States Meritorious Service Medal. Her very significant contributions to the Australian Defence Forces has earned her the Conspicuous Service Cross and Membership of the Military Division of the Order of Australia. Makers and suppliers of solid Jarrah Indoor Flagpoles to the Royal Australian Navy SEA 1000- Future Submarines Program. The finest quality Jarrah flagpoles fitted with the Australian National Flag & RAN White Ensign, displayed between the flags is the RAN Submariners Emblem depicting two dolphins along with a royal crown. We manufacture a complete range of Jarrah indoor flagpoles & parading flagpoles finished to perfection in all designs. Jarrah or "Eucalyptus Marginata" is a timber native to Southwestern Australia, WA and is well renowned for its rich deep red colour. It was once known as "Swan River Mahogany" named after the Swan River in Perth, Western Australia. Jarrah is considered one of the most beautiful of all Australian timbers. Our premium select grade of Jarrah timber flagpoles are turned and finished to perfection. They are simply the finest flagpoles that you can buy. Adware supply airfield windsocks and windsock poles to ADF, Kandahar Airfield, Afghanistan. Used as wind indicators by Apache and Blackhawk helicopter pilots, along with a myriad of military aircraft traffic. As Australian manufacturers, we are indeed very proud to supply our products and services to all Australian Defence Departments. This includes all Australian Army, RAN and RAAF bases & personnel, as a matter of the highest priority, this also extends to ADF overseas operations. "Hi Jason, Just thought that l would let you know that the flag arrived safely and also thank you very much for the beautiful Australian flag, sent to my son while on deployment in Afghanistan. Please see picture sent of Ian and his mates proudly showing their new Australian National Flag within his elite ADF Army regiment." In January 2009 we had the privilege of suppling our troops 120 Australian Flags to SGT Weir, Trade Supervisor at Camp Baker, during ADF, Operation Slipper. These flags were then placed into wooden flag cases and readily taken up by our soldiers a memento of their tour of duty then proudly displayed when back home. Other flags supplied included 1800mm x 900mm Fully Sewn Australian National Flags which are raised and flown at the camp daily. Many small Australian Flags were also supplied. As a long tradition, these flags are carried in the back packs of all our soldiers for good luck, as said by SGT Weir. Two hundred and fifty five Australian table flags and flagpole stands where also supplied free of charge. "As we are proud Australians with heritage stretching back to our own ancestors who have fallen in war, including Light Horse and others, we make it a point to never forget all Australian Armed Forces, in past & in present who now dedicate their lives or who have sacrificed their lives to make our country safe and free".